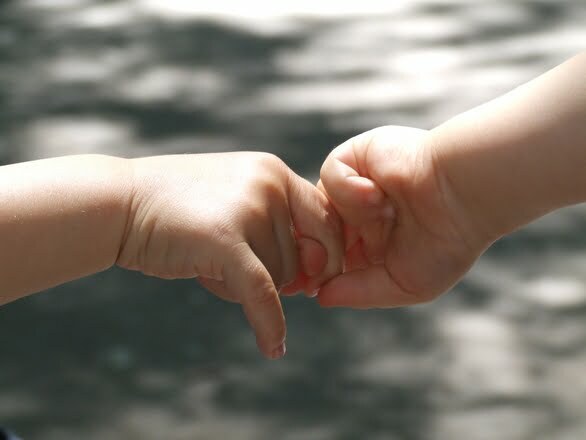 I took the day to think about this hold my hand #behindtheblogger prompt and it just took spending a little time with my granddaughter to realize that I am always telling her to “Hold My Hand”! LOL When children are toddlers, parents are constantly saying you need to hold my hand for this or that. So it made me think, should we ever stop holding their hand in life? Obviously I don’t mean holding hands in a physical sense, but as in helping them out when they need it. I believe that as parents, my husband and I have a responsibility to help our daughter when she needs the help. Some parents may disagree with us on still holding her hand and that’s fine. I’m not telling you to do what we do as a parent or as a grandparent. I’m just saying, no matter how old we get, we still need someone to hold our hand at times. Do you have a little one you are constantly telling hold my hand? Is there someone special still holding your hand in life? Head on over here for more of Gramma’s Views. I am totally that mom! My son has Autism, and my husband and I have already decided, that we will have either a basement or an attic apartment for him, so that we can always be right there for him, to hold his hand, so to speak 🙂 My daughter is more independent, but she knows, that I will never actually let go of her hand, not in the emotional sense. I love that you are the same way!! I feel like I am going to be “THAT MOM” that “never lets go”. I wish my mother would have been that way with me. I will hold her hand through life.